Kevin Durant may be the Warriors' biggest asset on the court, but his absence isn't halting ticket prices for Sunday's showdown with the Knicks at Madison Square Garden. The 28-year-old is expected to miss at least four weeks after suffering a Grade 2 MCL sprain and tibial bone bruise, putting the Warriors in a bind as they look to clinch the top seed in the Western Conference. The resale ticket market is paying no mind to Durant's injury, however, as Sunday's game will be among the most expensive games played at MSG since the turn of the decade. On TicketIQ, the average resale price for Knicks vs. Warriors tickets is now $799. That is a 10 percent increase from Tuesday's average of $729, the night Durant suffered his knee injury against the Wizards. For fans looking just to get past the gates the cheapest tickets at Madison Square Garden is now $270, up more than 20 percent from Tuesday's $224 asking price. Those prices put Sunday's game in rare company. 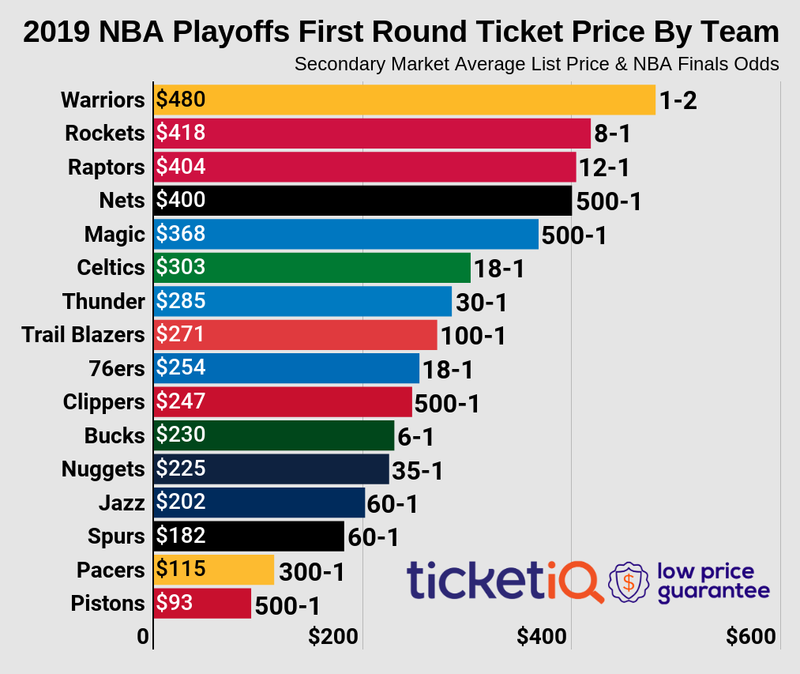 Only one other Knicks regular season game posted a higher average resale price since 2010, when TicketIQ began tracking resale ticket data. That game was held against LeBron James and the Heat on March 3, 2013. Tickets to the game owned a resale average of $1,036 and the cheapest tickets fetched for $221 each.